BRL72017: Brengun €3.63, Modelimex €3.75. BRL72019: Brengun €5.80, Modelimex €5.83. BRL72020: Brengun €5.80, Modelimex €5.83. BRL72022: Brengun €3.30, Modelimex €3.33. BRL72023: Brengun €5.80, Modelimex €5.83. BRL72024: Brengun €3.30, Modelimex €3.33. BRL72025: Brengun €5.80, Modelimex €5.83. BRL72026: Brengun €7.30, Modelimex €7.29. PE fret in each case with variable numbers of parts. Frets which include cockpit details have an acetate transparency to provide for instrument faces behind the PE instrument panels. 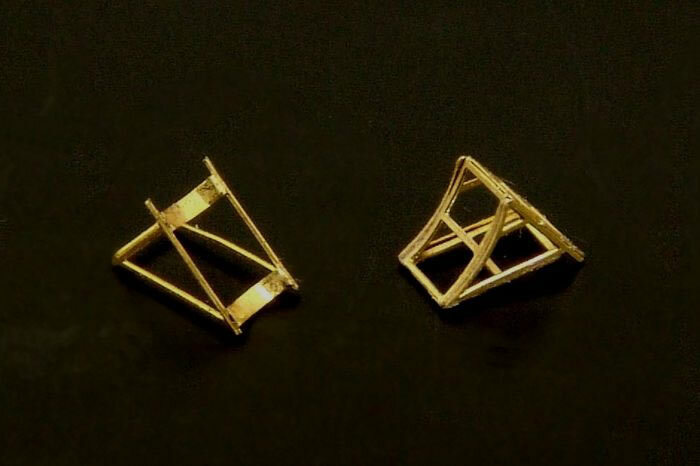 Good scale finesse, very good quality production, few if any unnecessary items. 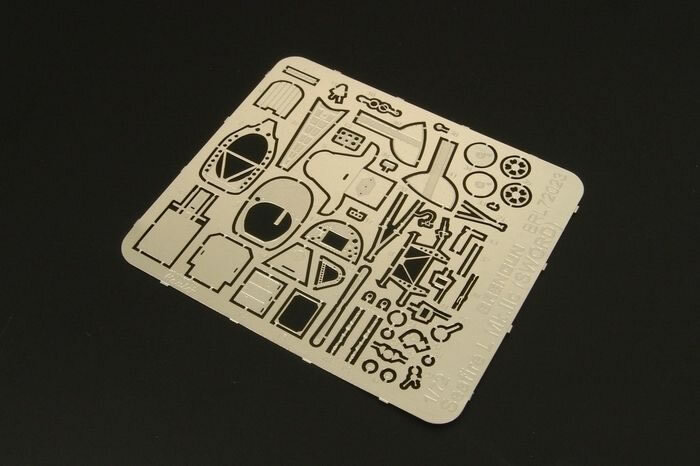 All the items are very well produced and will enhance their intended kits. Lack of colour call-outs should generally be easily overcome - Recommended. 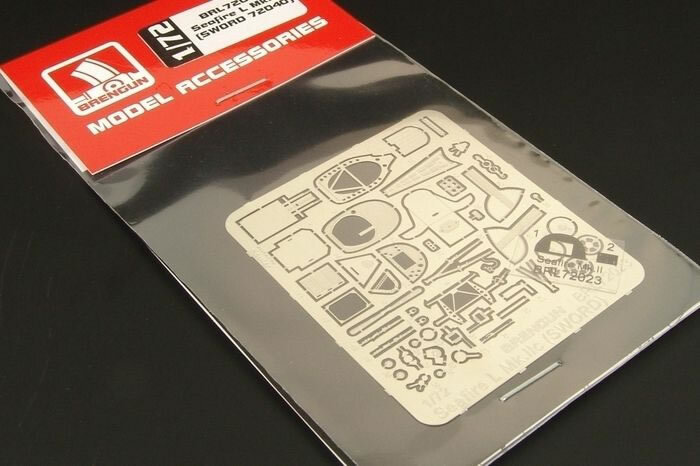 The accessory sets reviewed here each come in a cellophane bag stapled to a card header, and all come with instructions. However the instructions lack colour call-outs, so some reference hunting will be needed in many cases. In each case the PE frets are produced to very high standards. 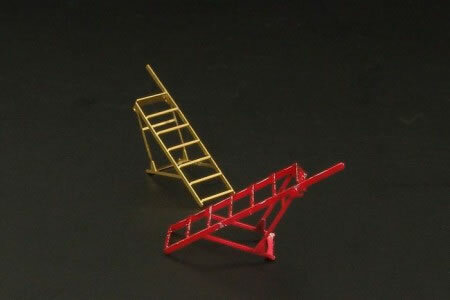 BRL72017 - Step Ladders for Hunter/Harrier: Two simple boarding ladders come with this set, ideal for vignettes and dioramas. 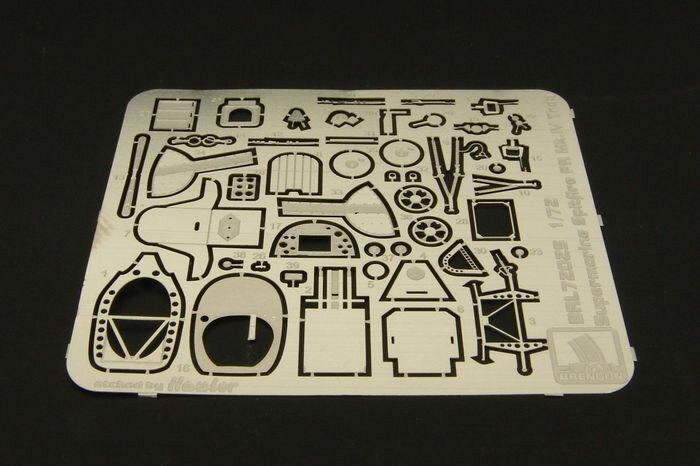 BRL72019 - Ki 44 Shoki/Tojo (for Sword): This is a comprehensive set for the recently released Sword kit. It provides flaps, undercarriage doors & torque-links, instrument panel, seat & belts, rudder pedals, throttle quadrant, boarding steps and some other minor details. 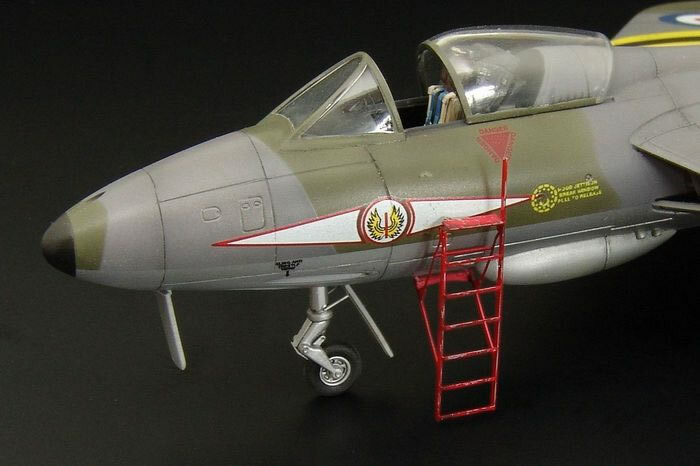 BRL72020 - Dewoitine D.520 (for RS Models): This is a fairly thorough set for the recently released RS kit(s). It provides radiator matrix and radiator air outlet flap, undercarriage doors & retraction strut, rear cockpit bulkhead/armour, seat-belts & seat side-braces, rudder pedals, throttle controls, gun-sight (a real plus as the French reflector sight is a cage type and very hard to scratch-build! ), and of course an instrument panel. The ventral and dorsal radio antenna masts are also provided, but will need “fattening “ with Mr Surfacer or similar product as they are rather thin and 2-dimensional. BRL72022 - Intake Guards (Meshes) RAF: I’ve always wondered why these have not been offered by PE accessory manufacturers before (as far as I’m aware). This is a very handy set of various styles of intake guards for RAF aircraft, mainly of the type found on carburettor intakes. Very handy indeed! 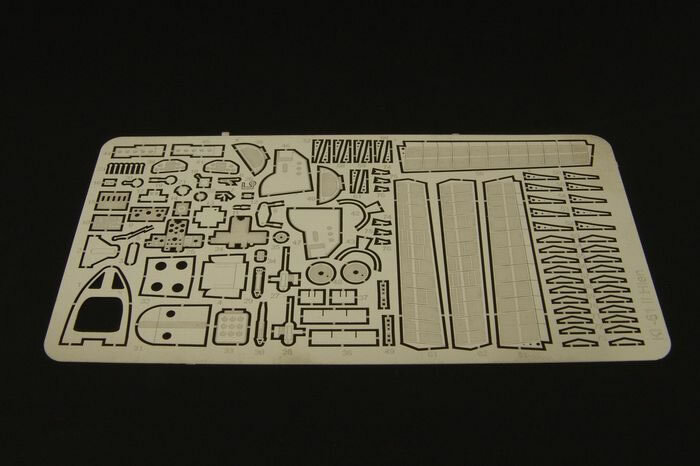 BRL720123 - Seafire L Mk.IIc (for Sword): This is a comprehensive set. It provides undercarriage doors and tiny undercarriage locking lugs, fuselage hatch, cockpit floor, instrument panel, compass frame and ring (the compass body has to be scratch-built from tube) seat & belts, seat support frame and armour, fuselage frame behind seat, rudder pedals, throttle quadrant, control column, cockpit door, plus some other minor cockpit details. There is also a replacement panel for the arrestor-hook assembly to which the modeller must add some plastic rod and the kit’s hook. Finally there are 5-spoke wheel hub discs. 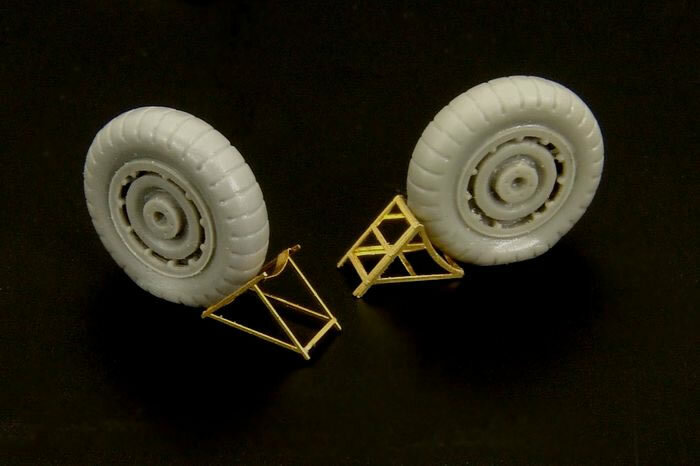 BRL72024 - Luftwaffe Wheel Chocks: Two pairs of chocks to add interest to any 1/72 WW2 Luftwaffe vignette or diorama. 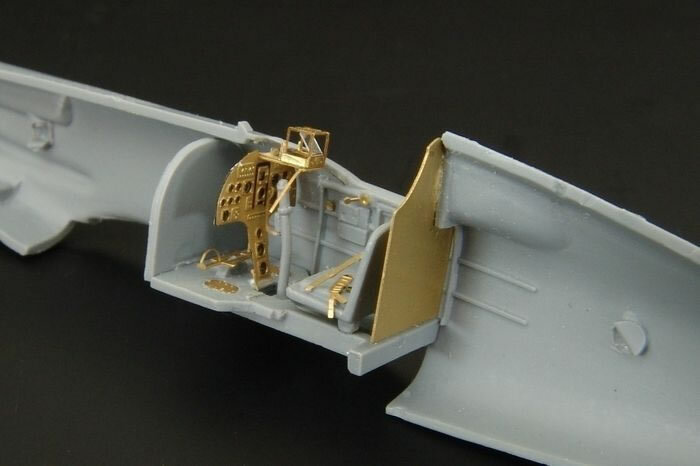 BRL72025 - Spitfire PR Mk.IV (for Sword): Essentially the same as BRL72023 for the Seafire above, but without the arrestor hook panel. 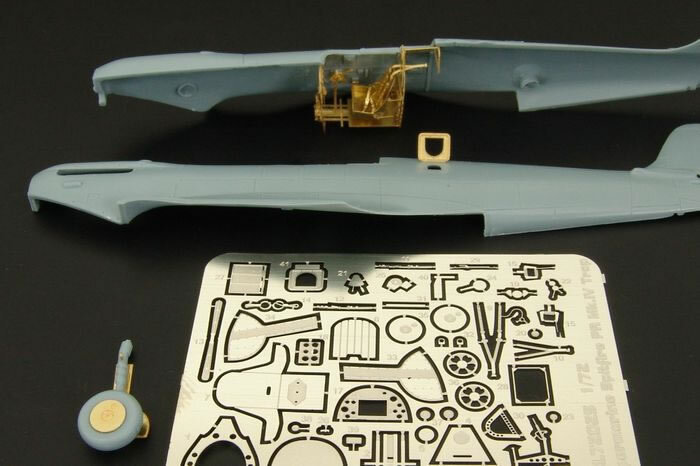 BRL72026 0- Ki 61 II Kai (for RS Models): This is a thorough set covering quite a bit of the airframe inside and out. It provides flaps, air intake grill, undercarriage doors & torque links, wheel hubs, fuselage hatch, rear cockpit framing, structure behind the head-rest, seat & belts, rudder pedals, throttle controls and various other cockpit side-wall items. A landing light reflector is provided, along with instructions to cut a notch out of the wing leading edge where it mounts, but no clear light cover is provided for. These are all good and in many cases comprehensive detail and accessory sets. 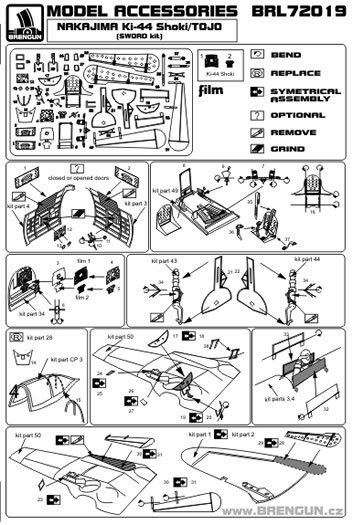 Their instructions are sufficiently clear to guide the modeller, but lack colour call-outs. 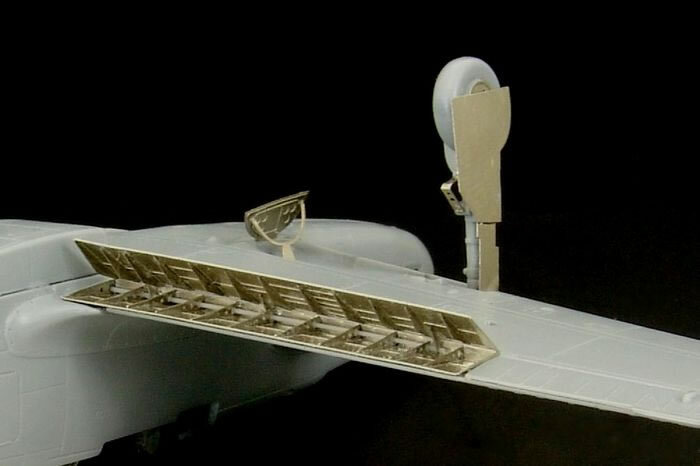 The RAF intake guards are a winner in my view and long overdue from PE detail makers. 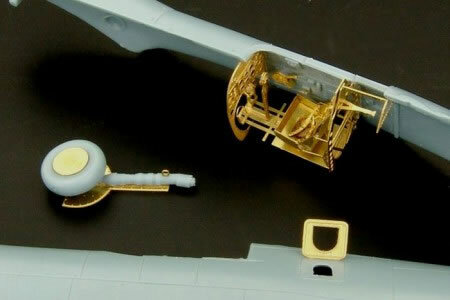 The wheel chocks are a simple and useful diorama item. The five airframe & cockpit detail sets are very good. 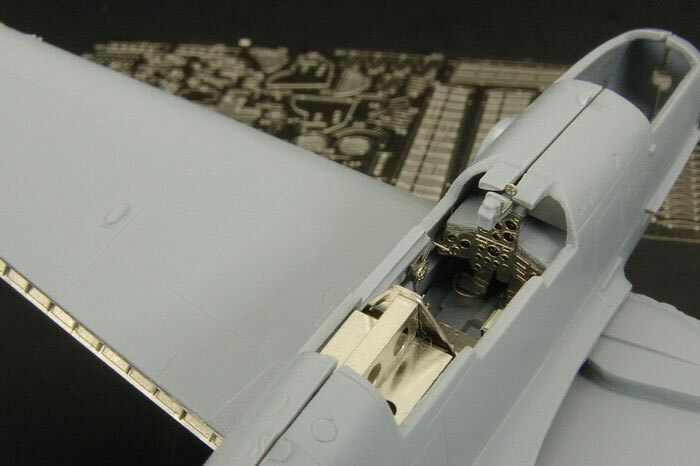 PE is the generally the best medium for WW2 fighter flaps, albeit that they can be very tricky to assemble. 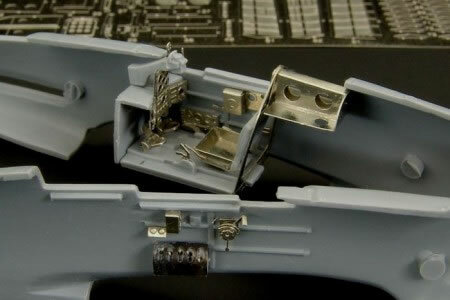 When it comes to cockpits there are areas where some might prefer resin, for ease of assembly if nothing else. 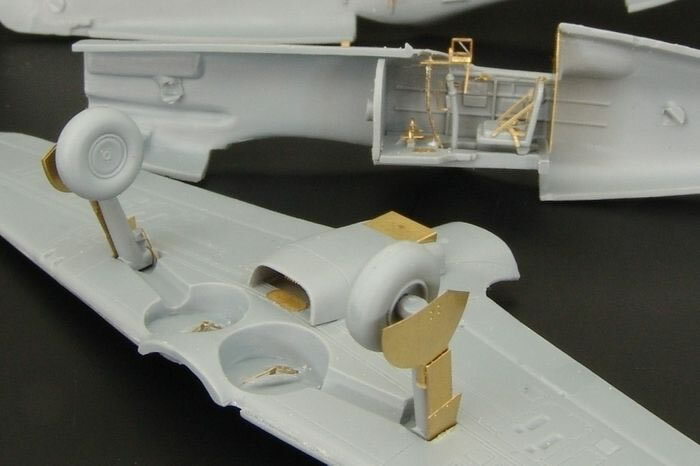 However, if you are comfortable folding and fixing PE then these sets’ cockpit other details have a lot to offer in terms of finesse in this scale. Whilst PE cockpits might not be everyone’s bag, but I’m pleased to report that there are few if any really superfluous parts with sets. I’m happy to recommend all of the sets reviewed here. Thanks to Brengun Models for the review sample.